Oatlands Plantation will host a “Great Gatsby-inspired” Dinner and Speakeasy as part of Epicurience Virginia. Costumes Encouraged. Epicurience seems to have a lot going for it – it has the backing of quite a few of the area’s winemakers and chefs, including Chef Todd Gray who is the culinary advisor for the much-anticipated Salamander Resort and Spa in Middleburg which is set to open in August. Epicurience’s recently-released schedule also lists a variety of events for wine drinkers of all ages. In addition to farm-to-table dinners and luncheons, here are few events that caught my eye. You can purchase tickets on the Epicurience website. Champagne Tea at Hunter’s Head Tavern in Upperville, VA (Aug. 30th 3-5p): Features organic loose leaf teas brewed to taste, champagne, hearty canapés, petit fours, and scones. 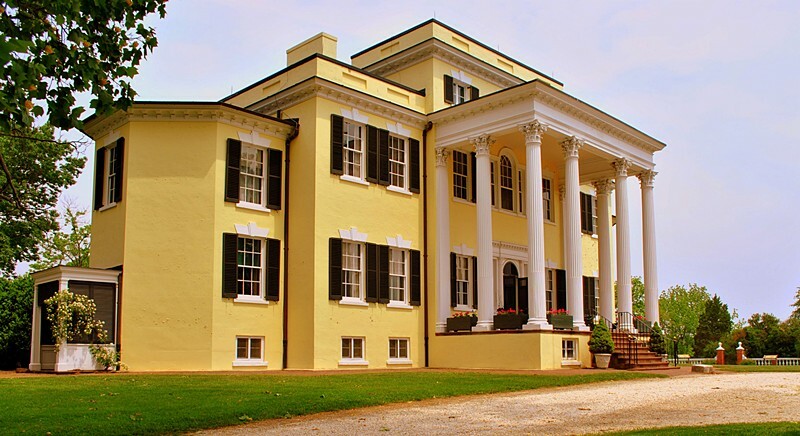 Roaring 20s Dinner and Speakeasy at Oatlands Plantation in Leesburg, VA (Aug. 31st; Dinner starts at 6p or you can skip the dinner and join the party at 7:30p for the after-party): Yes, it’s a Gatsby Party so attendees are encouraged to dress in 1920s period attire. Enjoy a ‘20s themed dinner followed by a swanky soiree on the mansion lawn. Live jazz, period dance lessons, mansion tours, and more. Flesh and Bone The Rock n Roll, BBQ, and Bubbles Experience at Tarara Winery in Leesburg, VA (Aug. 31st at 6p): Drink Loudoun’s first sparkler Boneyard Wines Bad to the Bone Bubbles – while savoring ribs, BBQ, and a Bon Jovi coverband. The capstone event is the Epicurience Grand Tasting on August 31st from 11a-6p at Morven Park. It will feature Loudoun wines, food, chef demos, live music, and more. There are VIP and General Admission tickets still available. While Epicurience is bringing attention to Virginia’s wine region, I think one of the most valuable benefits is bringing winemakers together as a community – one good winery does not make a wine region so Virginia’s growth will depend on how Virginia wineries and supporting businesses can organize themselves to make great wine and build a reputation as a world-class wine region.